"He might be 34 years of age, but this is a man who has made three grass finals in his career and seven semi-finals, so it would be foolish to write Seppi off here against the South African big-server, Anderson, who doesn't tend to win sets by large margins." It was a superb day for followers yesterday with heavy underdog Radu Albot completing a five-set win over Pablo Carreno-Busta from the interrupted match on Monday, before Denis Istomin played a predictably close match with Nick Kyrgios - which the Uzbek had chances to win - and easily covered the game handicap. Tuesday was rounded off by Alex de Minaur despatching Marco Cecchinato in four tight sets, so we move on to today's second round action with a spring in our step. On the courts today we see the winners from Monday's matches, and there are a few interesting spots. Firstly, my model likes Andreas Seppi as a heavy [4.30] underdog against Kevin Anderson, and I'm surprised the markets have made the Italian veteran - who is very comfortable on grass - such a big price. In his six matches on the surface this year, Seppi is 3-3 but that doesn't tell the entire story - he's won 67.9% of service points and 38.3% on return (combined 106.2%) so it is evident that he's been playing better than that record suggests. Over the last 18 months he's 8-6 with a combined percentage of 104.7%, so he's clearly around a top 20-30 player on the surface, despite his travails on other surfaces as he ages. 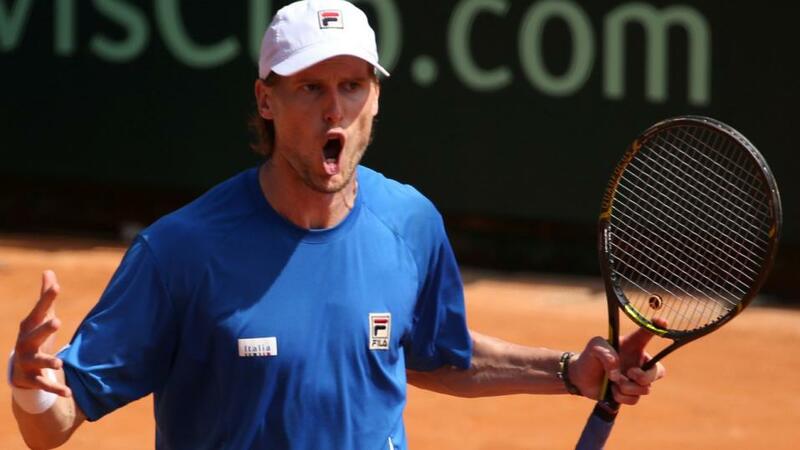 He might be 34 years of age, but this is a man who has made three grass finals in his career and seven semi-finals, so it would be foolish to write Seppi off here against the South African big-server, Anderson, who doesn't tend to win sets by large margins. We can get 11/10 about Seppi with a 4.5 game head start with the Sportsbook, and this looks a solid proposition. The other main player I liked today is Gilles Muller, although it is with a caveat. Wimbledon and grass in general seems to bring out the best in the man from Luxembourg, but he's not come into this event in great touch at all. Today Muller faces Philipp Kohlschreiber, with the German's record over the last 18 months or so on grass being pretty unremarkable. I'm surprised to see Muller the underdog here - my model priced them as being very hard to separate - and if you fancy taking a chance on Muller, I wouldn't discourage a small position at [2.82]. In other matches, Roger Federer faces Lukas Lacko, and although Dusan Lajovic failed to bring it home for us on the game handicap on Monday, it wouldn't be a surprise to see Federer fail to cover here against a player who is pretty competent on grass. It will also be interesting to see how easily John Isner manages to see off Ruben Bemelmans. The Belgian, Bemelmans, knocked out Isner's compatriot, Steve Johnson, in round one, and tiebreaks - as is usually the case with Isner's matches - are pretty likely. However, it will be interesting to see how Bemelmans copes with the after-effects of that Johnson win, in a match which lasted almost four hours. I'm also fascinated to see how Stan Wawrinka backs up his shock win over Grigor Dimitrov, as he faces Thomas Fabbiano. It's probably fair to suggest that the market has regained a lot of faith in the Swiss man following that display, and he's a short-looking [1.37] against the Italian, who isn't a disaster on grass. I thought about looking at Fabbiano on the game handicap but I feel he's probably got a horror set in him. Finally, those who are looking at tiebreak markets will probably bring their attention immediately to Ivo Karlovic against Jan-Lennard Struff, but the 5/6 on a first set breaker with the Sportsbook looks pretty accurate to me. My numbers suggest the 7/5 about the same outcome in the Seppi/Anderson clash would be the better bet.